If you have C2 Banana, K2 Fastplant, Bataleon Triple Base Tech, Arbor Griptect,Nitro Zero Camber and Magne-Traction. I know there are many brands with similar tech, I do not need to list them all. DANGER do not send your board/skis to a shop that runs all servicing on machines like your large chains or shop that have a large turnover of hire equipment, as they do not have the time to take extra care and respect for this tech. Magne-Trection has 7 contact points on the edge of your board so this must NOT be put through an edge grinding machine. You will need a small edge hand tool, why a small one? So it can move with the contour of the bumpy edge. These days with triple base tech, and rockers ……….Again putting these boards through stone/sand base grinding machine can flatten,deform the shape of the board/ski. So again you will need to do this by hand. Please ask me advice. Another thing when you get your board/skis thrown through a waxing machine it is such a fine layer of wax it will only last about a day, so cause more wear on the base, eg the life of the your board/skis.Wax also prevents water getting into the core, again shorting life spam. So I always hand wax my board, so I can get a sick finish. Ski or snowboard under control and make sure you have enough control to be able to stop or avoid objects at will when needed. You can push your boundaries, but know your limit. If you are overtaking another skier or snowboarder, it is your responsibility to avoid hitting the slower skier or rider. Take any abrupt movement of slower going people into account and make sure you have a clear picture of your surroundings at all times. Do not stop, sit down or rest in the middle of the piste. If you plan to do any of them, make sure you are out of the general traffic and that other people can clearly see you. When you are starting your run, give way to other skiers and snowboarders. Check your back and blind spot before entering your descent. Always use supporting gear that will prevent your gear from sliding down the slope and potentially hitting other people. Stick to the Rules and Piste Etiquette set out by the caretakers of the Snow Resort. Follow all Snow Resort Signs and do not enter closed trails. Make sure to have a clear picture of the weather, Snowboarding Snow Conditions and the routes in the snow resort. Let those aspects dictate your Snowboarding. If you are in any way involved in an accident, stay on the accident scene and offer any assistance. Report the accident to the patrol of the resort. Never go Snowboarding Off Piste alone and stay in close contact with the people you are going off slope with. 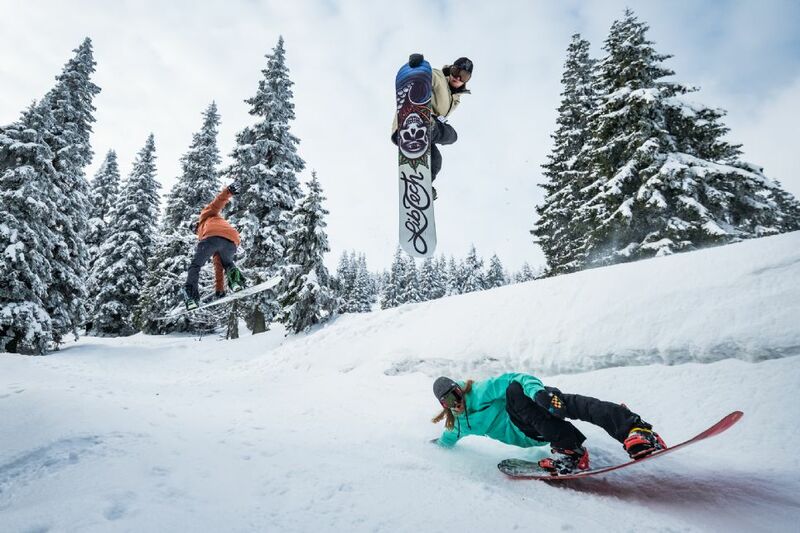 If you want to take Snowboarding Pictures, be sure that you are not getting in the way of other riders. I have to admit I am a wax miser. I never buy the stuff and the current wax job on my 6’5” has been there for at least ten months, it’s three inches thick and I scratch it up with any bit of rock I can find. I do however know how to get a perfect wax job when I can be arsed. So here’s some top tips. First clean your board using a wax comb to get most of the old stuff off, then a cloth. For a squeaky clean pro job use acetone to get the smears off. Next you’re going to get two blocks of wax. The first block is for a base coat and should be one flavour harder than the wax you actually need, i.e. if you’re in warm water get the tropical bar out. You’ll use this as a hard wearing base coat. Using the corner edge mark diagonal criss-crosses over the deck of your board. Then using the flat edge you’ve just created rub in circular motion evenly all over the deck of your board. Miraculously the wax will bead into humps. These will give you more grip. Cover most of your board from the tail upwards (or the tailpad – these are highly recommended). If you have shortboard you probably don’t need wax on the top third of the nose, but it helps if you end up slipping, land an air weirdly or if you want to slide up the front in the barrel. Once you have a good base of humps, apply a smear of sticky top coat for the ultimate wax job. Apply the top coat every surf. When using a wax comb (best with thicker wax) scratch diagonally from rail to rail. If you don’t have one and you’re stuck, or you’re as tight as me, use a bit of stick or a sea shell. You can also use the edge of a pointy rock, but be careful you don’t put it through the deck. Wax combs mess up your perfect wax beads so use them at your own risk! Don’t let your wax melt in the sun as it goes all hard and slippery. Don’t put your board deck down on dry sand, especially if you’re surfing in boardies, ouch. Never let dippy birds covered in sun oil borrow your board…unless you’re on a promise!